Traveling in a luxury vehicle are not just Vip’s or corporate clients but is also suitable for all walks of life especially for those who prefers a vehicle that are comfortable and exclusive to themself unlike public transport. You are able to avail our Limo CAB, Maxi CAB and Mini BUS services Anytime and Everytime at reasonable flat rates which also includes booking and ERP surcharge. 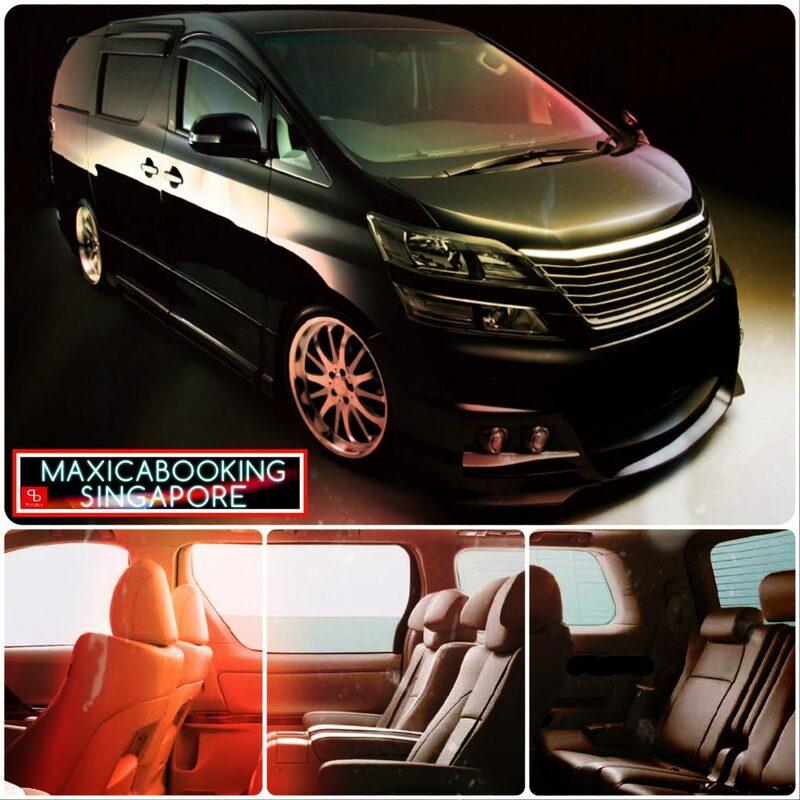 MaxiCABooking SG provides Reliable yet Affordable maxicab-limousine services in Singapore and also to Malaysia, be it in advance or immediately, We are here to render our services to You 24/7. When it comes to choosing the right type of vehicles and services for corporate bookings, companies often show great interest towards Executive Limousines such as the 6 seater limocab or 7 seater maxicab. These are exclusive and comfortable vehicles specially designed with professionals and business use in mind. Hiring of these cars for different types of corporate events and seminars held here in Singapore are seen to be rapidly increasing for Vip and corporate clients. Companies usually hire our maxi-limo services to welcome their guests and clients arriving in Singapore for the first time to make sure their transportation are well taken care of professionally. From picking them up from the Changi airport to sending them daily to events or seminars and if time permits, even for some sightseeing in the bustling Lion City. Also, apart from having sufficient and ample space for luggages, these type of cars comes with sitting arrangement that can be adjusted to maximise comfortablity for the passengers. Be Driven in Style and Comfort every time without burning a big hole in your pocket or company budget. Book different type of cars for your important clients base on their daily transportation needs and preference. Provide exclusive and professional chauffeur service to your clients just on rental basis with MaxiCABooking SG. Just sit back and enjoy your journey, leave the driving on the busy roads of Singapore to our experience drivers. Apart from our limocab vellfire and maxicab viano, we have also available the Roll-Royce Ghost for your Vip clients, business partners and also to be use as a bridal car . All these limousines can also be hired for any other special occasions too. Do keep in mind when it comes to smooth business operation, it’s not worth to compromise Professional and Reliable transportation services with other cheaper options available. Only the best, MaxiCABooking SG Pte Ltd, we’ll amaze your delegates visiting Singapore. This entry was posted in Coach Buses 20 to 45 Seater, Large taxi Services, Legoland Malaysia Transfer, Limo cab, Malaysia Transfers, maxi cab, Maxi CAB Services, Mini Bus, Mini BUS Services, party bus, Party BUS 13 Seater Hotline, Party Bus Booking, Party BUS Singapore and tagged 13 seater mini bus, 13 seater mini bus booking, 13 seater mini bus hotline, 4 seater limo taxi, 5 seater limo taxi, 6 seater limo cab, 6 seater limo taxi, 6 seater maxi cab, 7 seater maxi taxi, limo cab 4 seater booking, limo cab 6 seater vellfire, maxi cab, maxi cab 13 seater, maxi cab 6 seater hotline, maxi cab 9 seater, maxi cab and mini bus hotline. Bookmark the permalink.